1. Download “Smart life” App. 2.Register the app by phone or e-mail. 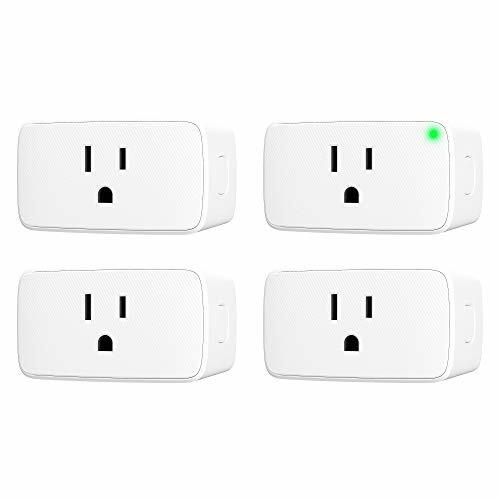 3.Add the plug to Smartlife, choose Electrical Outlet, then connect WiFi. Enjoy Smart Lifestyle: Controlling your outdoor smart plug has never been this simple. You can now use Amazon Alexa and Google Assistant to light your yard decorations, water the garden without going outside. Simple voice commands to activate your indoor and outdoor appliances functions, enjoy your smart lifestyle. Samsung SmartThings and NEST compatibility will be supported soon. Waterproof and Durable: With ABS fireproof material and IP44 waterproof standard applied,the outdoor smart plug can handle wet, snow and cold conditions, very safe for outdoor use. Ideal for hard-to-reach seasonal and landscape lighting, pool pump, porch light, string lights, Christmas tree, deck lights and other outdoor appliances. Schedule and Timer: Want to come home to a place that’s nice and cozy after a long day work? Set your own automatic timers! Your lights and other devices will turn on (or off) automatically at the time you specify. Decrease your electrical bill and environmentally friendly. 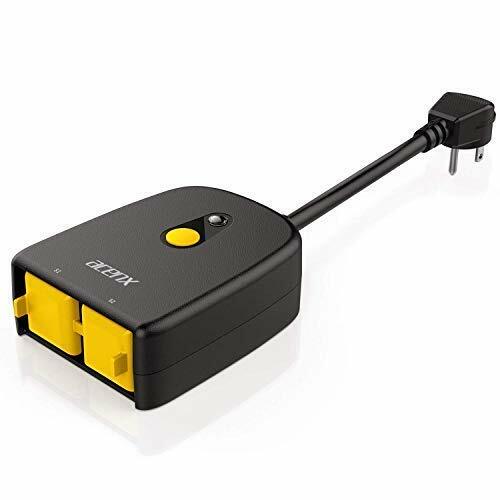 2 Individually Controlled Outlets : This outdoor wifi outlet has 2 separated outlets offer 1875W high power rating, could connect higher-power and more electrical appliances than most other similar products in the market. 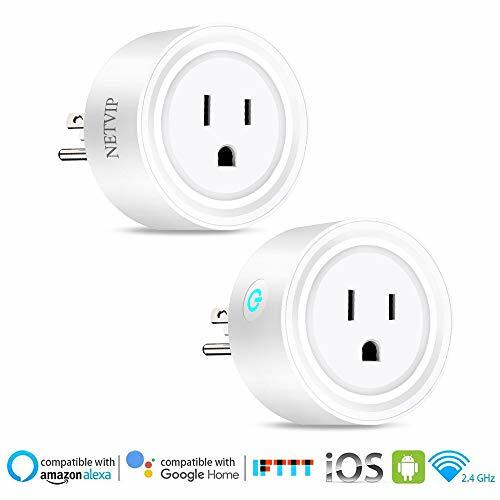 You can control each outlet on/off and time schedule respectively through Amazon Alexa echo or Smart Life APP, more convenient and economical. 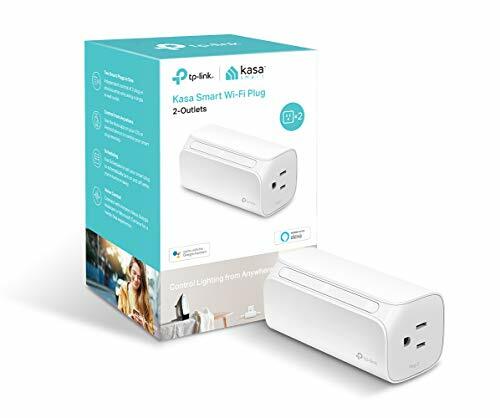 Easy and Quick Setup: Simply plug in a device, connect to your wifi network, and start the Smart Life APP. It’s as easy as one, two, three. Then you can wirelessly control your appliance with your smartphone from anywhere, at any time. Note: this outdoor wifi outlet only supports 2.4GHz Wi-Fi network, not support 5.0GHz Wi-Fi.